HOLLYWOOD SPY: FX ADAPTING JAMES CLAVELL'S HISTORICAL SAGA 'SHOGUN' SET IN FEUDAL JAPAN INTO EPIC MINI TV SERIES! 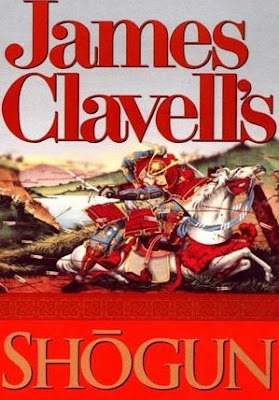 FX ADAPTING JAMES CLAVELL'S HISTORICAL SAGA 'SHOGUN' SET IN FEUDAL JAPAN INTO EPIC MINI TV SERIES! EPIC TV SERIES AT FX! will be done on an international scale. Tim Van Patten is directing the story set in feudal Japan, which charts the collision of two ambitious men from different worlds and a mysterious female samurai: John Blackthorne, a risk taking English sailor who ends up shipwrecked in Japan, a land whose unfamiliar culture will ultimately redefine him; Lord Toranaga, a shrewd, powerful daimyo, at odds with his own dangerous, political rivals; and Lady Mariko, a woman with invaluable skills but dishonourable family ties, who must prove her value and allegiance. The novel, sold in more than 30 million copies worldwide, was adapted 40 years ago into a series with Richard Chamberlain. Aired on four consecutive nights in 1980 at NBC it started the format of mini series! Sounds interesting. I may have to put that on the list to see. if it really gets made, but I think it will as it is their most ambitious project to date. I follow a blog of an american young lady who lives in Japan (Shayndel), so I've become a bit interested in this country. Not so much interested, though, as to wish to watch the 'Shogun' mini series. I know the book was a best seller, but shoguns and samurai warriors are not exactly appealing to me. I like the above displayed red poster. You haven't watched the original series? I remember it airing when I was a little kid and it was very popular in my country. I think it was more of a love series than a warrior one. The girls are pushing for our family vacation to be in Japan next year. We may have to move it up to spring break as Mariah will probably be an intern at some medical company every summer from here on out. I'm thinking I might want to do Spain or Amsterdam instead. We'll see. Isn't a trip to Japan like awfully expensive? Come to think of it, you're probably closer to Japan than to Europe.